Fidelity International is the latest global asset management house to join the rush to embrace the growing appetite for exchange traded funds, with the launch of two income-focused smart beta ETFs. The company said that its first two ETFs will combine Fidelity’s active investment expertise with the systematic aspects of passive investing. The Fidelity Global Quality Income UCITS ETF and Fidelity US Quality Income UCITS ETF aim to provide exposure to high quality companies, that aim to pay attractive dividends with the objective of delivering a yield in excess of the broader market, while, at the same time, carefully managing risk, it said in a statement announcing the products. Nick King, head of ETFs at Fidelity International, said: “Demand for Smart Beta strategies has been growing in recent years and is expected to continue to accelerate. This is an area we believe our research capabilities and expertise can add value and increased choice for our clients. The Fidelity Global Quality Income UCITS ETF will be benchmarked against the MSCI World index and the Fidelity US Quality Income UCITS ETF will be benchmarked against the S&P 500, the company said. 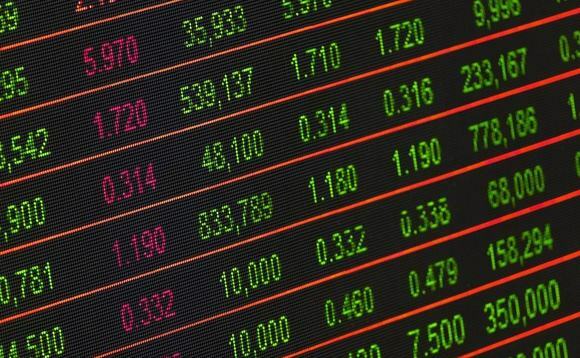 Priced with an OCF of 0.3% for the US fund and 0.4% for the global fund, the ETFs will commence trading today, (April 3) on the London Stock Exchange and Deutsche Boerse. Fidelity International invests £223.7bn globally on behalf of clients in 25 countries across Asia-Pacific, Europe, the Middle East, and South America.